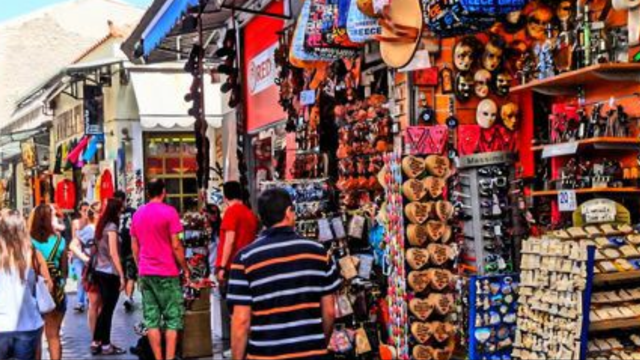 If you plan to visit Athens during your summer vacations, do not forget to schedule a long walk all the way to one of the most characteristic areas downtown, Ermou street and “explore” the Monastiraki area and its flea market, to buy just about anything. Especially on Sunday afternoon, some of the stores close pretty early and people bring tables and carpets and sell all kinds of stuff, from junk to antiques. 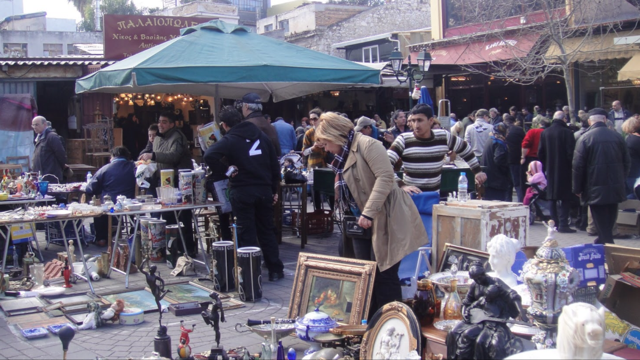 You may also find all kinds of tourist shops, to buy cheap art, old music, gold or fake copies of Greek ancient jewels, all kind of souvenirs, paintings, local traditional food and clothes. Find yourself a nice corner table at a coffee bar and sit under the sun to enjoy a one or two hours “long coffee” break, the way Greek people do, and then visit Plaka. The Acropolis Museum is nearby, also the Odeon of Herodes Atticus (Herodion theatre) and afterwards you may continue straight to Thission and Acropolis. There are lots of ancient ruins and history all around, that will thrill you. But on top of it, do not miss an open air cinema, and take in a movie under the stars. Visit one of the many outdoor cinemas and enjoy a movie in the open-air. Tiny oases tucked in among buildings, the summer cinemas do not aim to captivate alone with their films, but also with their retro atmosphere. Some of them set up on rooftops or jasmine-scented gardens, 90 screens still pop up offering a unique social experience that taps into nostalgia, yet remains part of authentic contemporary Athenian life. Films are shown in their original language with Greek subtitles. Popcorn, chilly beer, hot dog, pizza, dry nuts and even souvlaki are offered in most of the summer cinemas. And for the smokers it's even better. Food, drinks, smoking freely and open air movies it's a combination to make your summer vacations in Greece unforgettable. And if you are lucky enough you may have a spectacular fool moon night to complete your visual experience. And a tip: if you choose the right cinema (there are many) you will have also a view to Acropolis.